This experiment is just plain fun! Have you ever used a compass? Are you a little confused in terms of which direction to go? Fear not! 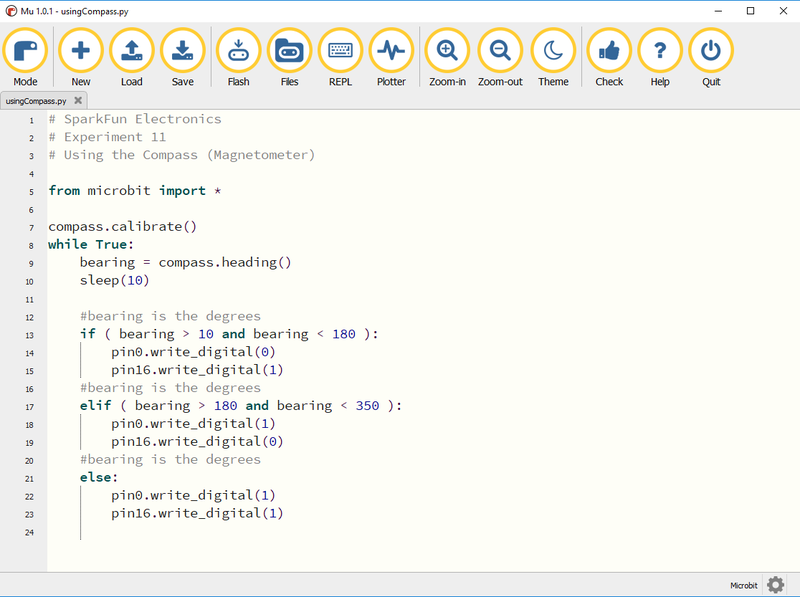 We will build a digital compass that will keep you on track to the North Pole using the micro:bit's onboard compass chip! In the previous experiment you learned about the accelerometer, which measured gravity. The compass, or technically the magnetometer, measures a magnetic field. Magnetic fields come in different sizes, but the biggest is the one produced by Earth itself, which is why compasses work. 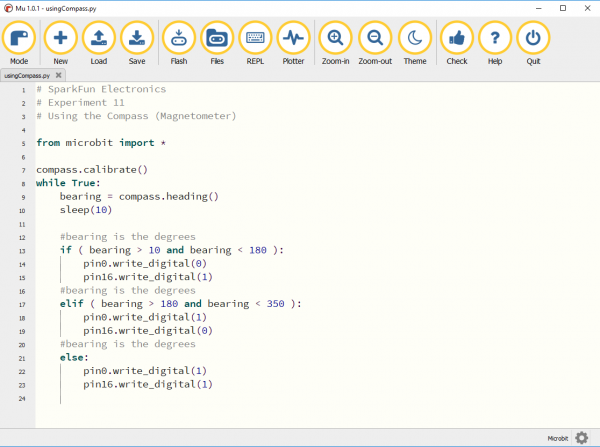 The micro:bit has an onboard compass (a.k.a. a magnetometer) that can detect its orientation using Earth's magnetic field. Depending on the version that you have, the accelerometer and compass can be on separate ICs or combined into a single IC. The magnetometer detects magnetic north and then represents your heading in degrees with north being 0 degrees, east being 90 degrees, south being 180 degrees and west being 270. Pretty cool! Now let's put this compass to good use! Note: The full sized breadboard power rails have a break down the middle. If you end up using the lower half of the power rail you will need to jump between the upper end and lower end. Let's take a look at the code in this experiment. The compass heading function returns the heading that you are facing if you are holding the micro:bit flat with the pins toward you. Zero degrees is north. We store this heading in a variable called bearing. Much of the rest of this code is straightforward, but the logical and operator is used. This combines two logical statements into one statement that returns true when both of the other statements are true and only true. 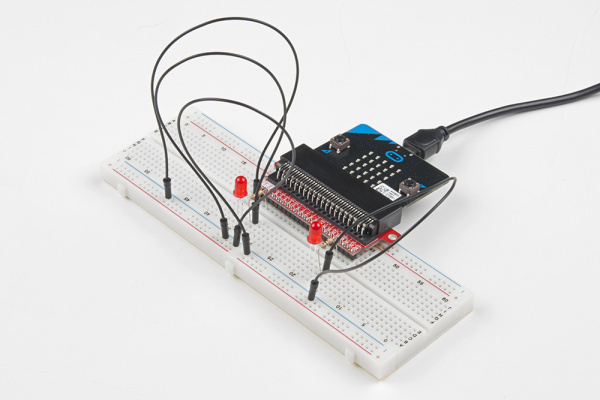 When your code is loaded you will first see instructions on the micro:bit LED array. 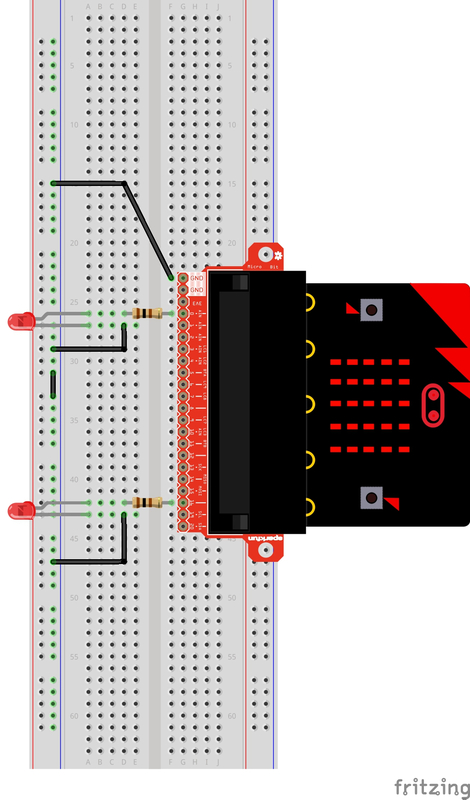 The instructions will ask you to tilt the micro:bit around until all of the LEDs on the micro:bit face have been lit up. Once this has been done, it will display a smiley face. 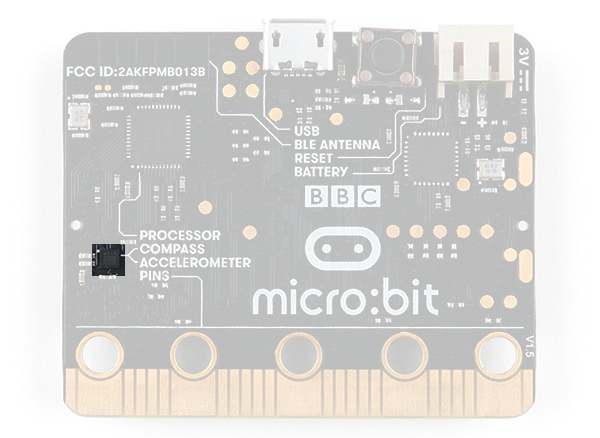 This process is to calibrate the micro:bit's magnetometer with its surroundings. The LEDs will start to turn on --- one or the other, or both. While standing still, rotate in the direction of the LED that is on. When both LEDs are lit, you are facing generally north (if you are outside)! You now have a compass that helps you find north, or any other direction you choose if you change the code! 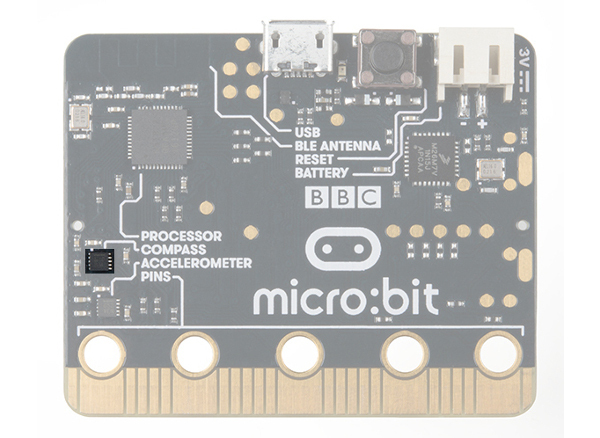 Note: If you calibrate your micro:bit while inside and in a proximity to your computer or something that produces a larger magnetic field it will skew your micro:bits sense of direction. You will end up creating a metal detector rather than a compass! You may have a motor or magnet close by! The magnetometer is sensitive to all magnetic fields, including ones that may be produced by other electronics, metal, or even...a magnet. You might have your logical statement backward! Try flipping your greater than to less than, or the other way around.